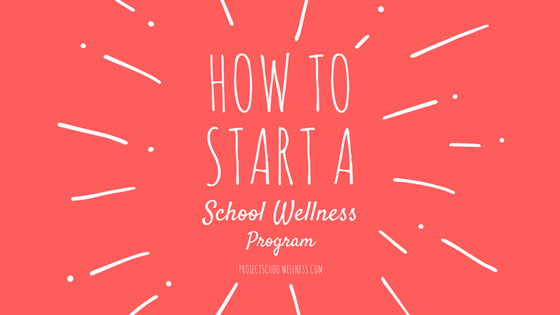 How to Start a School Wellness Program! It takes a village, so start by educating the village. Begin by introducing the idea of total health to the your co-workers. This article is a great example of how thriving comes from balance and not simply from excelling in a few areas of life. It takes a village, so start by educating the village. Next, take time to talk about how wellness (a.k.a. health and happiness) is a wheel (click download activity). 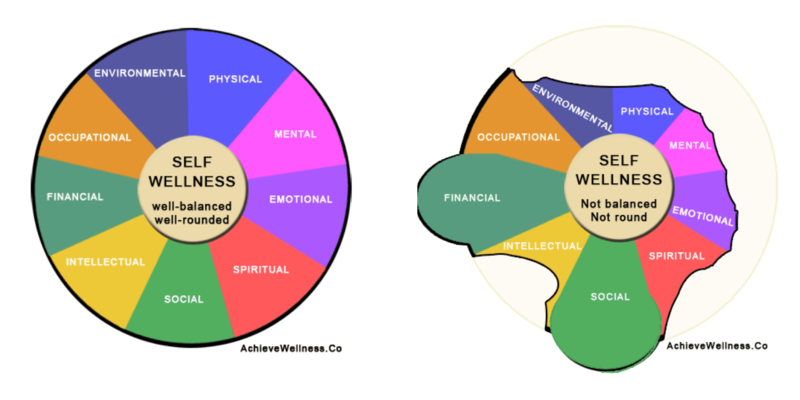 Within the wellness wheel model, each wedge represents an element of health. The more balanced (thriving) we are in each area, the better the wheel rolls. The opposite is also true and the wheel becomes dysfunctional we are unbalanced (surviving). *Take the wellness wheel to the next level by having teachers also fill one out for their most challenging student. Building on the interest of the wheel, it’s time to learn about each component of health (⇓). As teachers understand each component, the team can use this chart to discuss opportunities to strengthen wellness at school. Due to the multidimensional nature of health and happiness, you are most likely already touching on each component throughout the school experience. Therefore the real challenge isn’t in creating activities, it is in identifying and classifying what you are already doing and attaching common language to it under the umbrella of wellness. With those few steps (in just a few hours) completed, it’s time to start educating the students. This is the point when teachers tend get antsy. But don’t worried this doesn’t require any instruction time outside of the health and P.E. classroom! Since HPE teachers should already be teaching health, it’s simply a shift in how health is approached and taught. a total health curriculum becomes the foundation for a school wellness program. Health has traditionally been taught as a two or three week unit within a physical education course. And for the most part, health has only highlighted physical health, failing to teach a total health model (video above⇑). In contrast, I use a multidimensional approach to teaching health and students have two dedicated health classes a month. Throughout the year, students learn about each component and why it’s important. They understand how to strengthen each area of life, and see how the components work together and influence one another. Additionally, students develop a common language and learn how to identify elements of health beyond the classroom. It is this common language and understanding that empowers teachers and students to connect the dots. Together they see how each aspect of life (and school) plays an vitally important role in our well-being. Ta-dah, with the completion of step three, you have yourself a school wellness program. See, that wasn’t too hard:) Now it’s time to get to work! If you want to continue learning how total health education and school, subscribe to Project School Wellness.